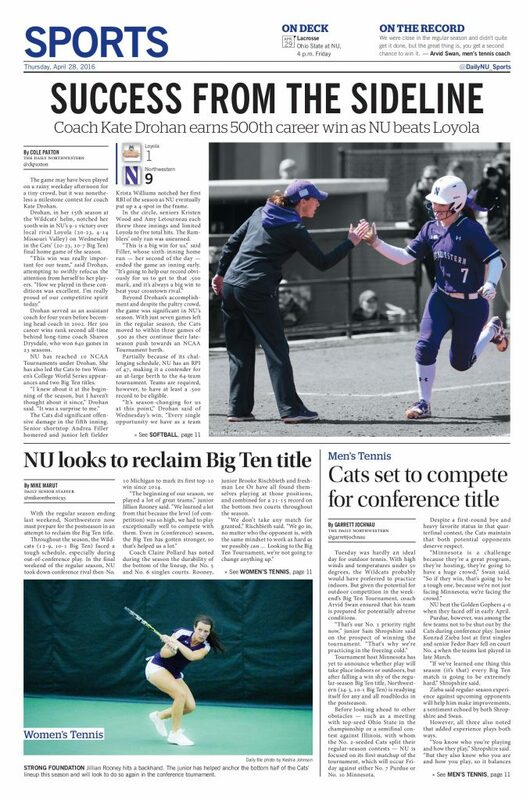 Despite being below .500, Northwestern’s softball team has a great shot at an at-large bid into the 64-team NCAA Tournament thanks to a tough schedule that has them No. 47 in the RPI rankings. But wins don’t hurt either, and with Wednesday’s victory over Loyola, the Wildcats sit just three games back of .500 at 20-23. Cole Paxton recapped the win in NU’s final home game of the season. 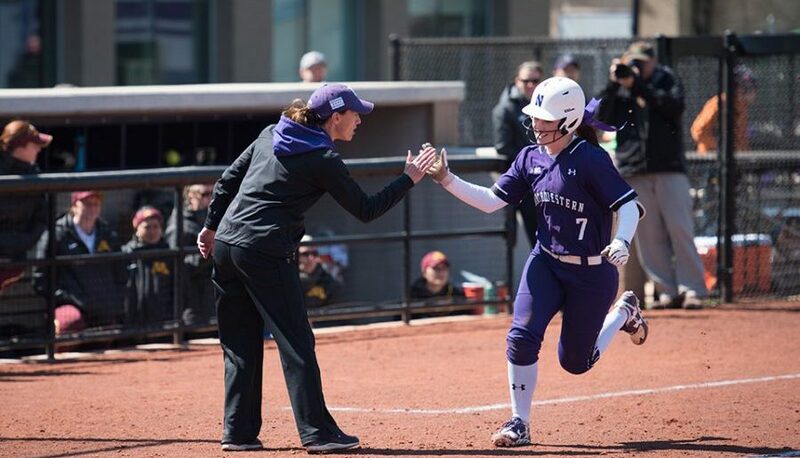 Softball’s win over Loyola also marked a big milestone for longtime coach Kate Drohan. The Big Ten Tournaments in tennis are rapidly approaching, and the Cats are poised to take shots at the conference title in both the men’s and the women’s tournaments. Garrett Jochnau gets you ready for men’s tennis’ Big Tens run after a historic regular season, while Mike Marut previews women’s tennis’ quest to reclaim the conference title after coming on strong in Big Ten play.